A good photographer always has his camera ready to catch someting one may call a "life time achievement." Perhaps for astronaut Ron Garen this was to be true. 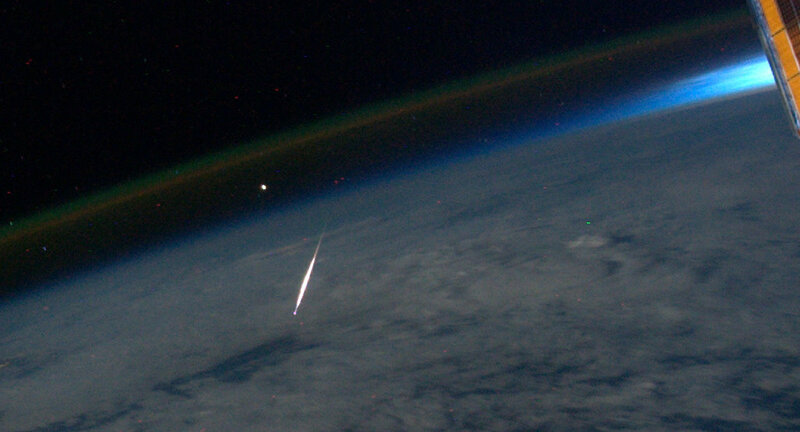 While on board the ISS (International Space Station), he was just lucky to peep out of the space ship window when a Perseid meteor was falling towards our earth and had the burning trail visibly shown. The photograph was taken on 11 august, 2011. Ron would always be happy for this wonderful catch - perhaps his lifetime's best ! !